Backpacking Background: I've been a backpacker on and off for over 25 years. I backpacked as a Boy Scout, and then again almost every month in my twenties, while packing an average weight of 50+ lbs (23+ kg). In the last several years I have gained a renewed enthusiasm for the back country. I generally go on one or two night outings and now try to average a 30 lb (14 kg) pack. From the Outdoor Research Website: "After a legend-worthy day at the crag, hit up the pub to rest those weary tendons. This stylie button-up will transition from breathable, relaxed comfort while sending your project to ordering up a celebratory pint at the local watering hole." Dri-release� Fabric, Outdoor Research's proprietary technology has the look and feel of cotton without the moisture or odor. It claims to move moisture away from the skin, through the fabric and into the air faster than any other performance fabric on the market. Dri-release� also contains FreshGuard� which 'virtually eliminated odor'. The Outdoor Research Dune Shirt arrived on a Friday afternoon just as I was about to take a long weekend trip to the beach. The website boasts the shirt is stylish enough to wear right out of the wilderness into your local pub, so I decided to ask the ultimate critic...my wife. She gave beach bar approval and I tossed it into my bag. After a more in depth inspection of the shirt I did find it to be both a stylish and functional appearing item. The mostly synthetic shirt is designed to wick moisture away from your body and minimize odor. I am testing an extra large 'Artichoke' colored shirt. It is a collared seven button plaid shirt. There are several design features that in my opinion appear to give the shirt both field functionality as well as a stylish edge. There is a 1 in (2.54 cm) inverted V cut into the outside hem of each sleeve. It appears this may create some give in the armpit area if I were to raise my arms above my head in the field while wearing a pack. The shirt also boasts a straight hemmed waist with a 2 in (5.08 cm) slit on each side allowing a stylish and forgiving untucked look. On the left chest is a 5 x 5 in (12.7 x 12.7 cm) pocket with a small OR logo sewn onto it. Inside this pocket is a smaller 'media pocket' that is approximately 2 in (5.08 cm) wide by 3.5 in (8.89 cm) long. The OR logo is embroidered on the shirt's back left shoulder and the motto is embroidered on the placket. 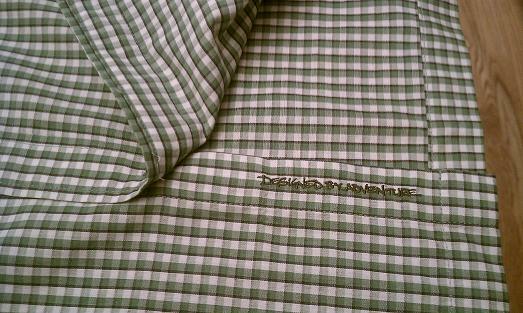 The shirt appears to be well constructed and my only initial concern was some loose stitching in each of the button holes. Each one has reinforced stitching around the eyelets, but there are certainly loose threads present. Also, after a night of casual wear when I was removing the shirt for the first time, a button came off. It appeared this button wasn't well sewn, and after re-inspecting the shirt including the remaining buttons, everything else seemed well made. Also, Outdoor Research carries the "INFINITE GUARANTEE", basically guaranteeing their products forever. This was stated on both the tags that were attached to the shirt and on a tag in the collar. Care instructions for the shirt suggest machine washing in cold water, tumble drying on low and ironing on a low setting. Do not bleach or dry clean this garment. The shirt fits well and definitely wicked moisture away on a 92 F (33 C) evening at a beach restaurant. After a steamy evening at dinner and a round of mini golf, I returned to find no significant moisture on my skin of the shirt. Also, after quite a bit of perspiring throughout the evening the shirt was odor free. Therefore, even with the button incident I am still excited and looking forward to testing the shirt's performance on the trail in the near future. As I close this initial review, I'm excited about the wicking nature of the shirt and some of the technical nuances that I hope to make the shirt more functional in the field. I am somewhat discouraged over the initial quality control of this particular item but hope the positives outweigh these minimal negatives. Please check back in two months for a further update on the Dune Shirt. I'd like to thank Outdoor Research and BackpackGearTest for the opportunity to review this item. Throughout the field testing phase I've worn the Outdoor Research Dune Shirt on both adventure outings and repeatedly for casual wear. It was my primary shirt for a three day/two night car camping outing over Independence Day weekend. I camped with my family at the Old Stone Fort State Archaeological Park in Manchester, Tennessee. Camp elevations were approximately 994 ft (303 m) and weather conditions for the first day and a half were breezy and pleasant hovering around 78 F (26 C). Toward the end of the trip the air became more stagnant and temperatures rose to near 85 F (29 C). During this excursion we took a day trip to Fall Creek Falls State Park near Pikeville, Tennessee. Average elevation here is between 1700 ft (518 m) and 2000 ft (610 m). We hiked a side trail to the base of Piney Falls, a 95 ft (29 m) waterfall that isn't as impressive as the 256 ft (78 m) drop of the main falls, but a much more manageable hike for the two and three year olds that were with me. I wore the shirt on a backpacking outing to the Stone Door area in the South Cumberland Recreation Area near Beersheba Springs, Tennessee in mid July. The backpacking trip was a steamy weekend with Temperatures as high as 94 F (34 C) never going lower than 81 F (27 C). Elevations ranged from 1800 ft (549 m) to 2000 ft (610 m) during the extremely humid trip that was once interrupted by a brief thunderstorm. 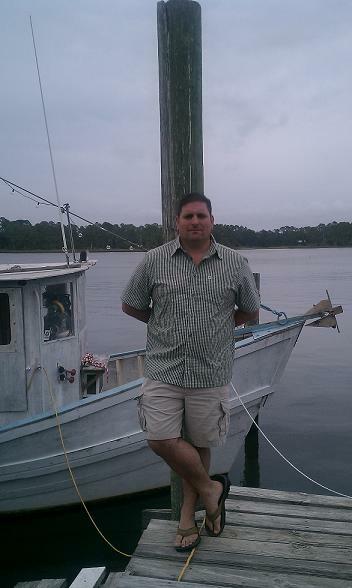 Finally, I wore the shirt one evening when I went frog gigging in Straightstone, Virginia. It was a several mile wading event that started at sunset on Little Straightstone creek in the tobacco growing country of southern Virginia. The creek elevation was 554 ft (169 m) with a temperature of 77 F (25 C). The excursion was followed by a 1.4 mile (2.25 km) walk back down a combination of paved and dirt country roads during which a driving rainstorm arose. I've worn the shirt on casual occasions around town, wearing it to dinner, trips to the grocery and social engagements. Generally in these instances it's been worn indoors, or being outside in for limited time. I did wear the shirt outside one day when temperatures were just above 100 f (38 C). I recall that Outdoor Research avers the Dune Shirt is worthy enough for a day on the crag, yet stylish enough for an evening in the pub. Generally speaking the shirt was adequate for both outdoor experiences and social wear. It wicks moisture away from my skin and keeps me dry in most situations. If I've sweated profusely it doesn't stick or cling to my body like a cotton shirt would. When I've set camp, or taken it off to air dry I've found it is comfortable to wear again in limited time. This quick drying feature and the minimal odor I've noticed after multiple days of wear certainly satisfies me with the Dri-Release technology. I have machine washed the shirt around ten times. I generally tumble dry the shirt for a few minutes and allow it to complete the drying process by air drying on a coat hanger. The quality has held up well to this process. Overall the shirt fits me well, yet I would call more of a blend between a relaxed and contemporary fit. Oddly enough, I find it roomier in the stomach/waist area than in the chest. If I stretch or flex my upper body the shirt buttons near the chest area tend to pucker and pull. Because of this I do prefer the fit when I don't have a pack strapped to my back. I don't have the freedom of movement I've had with comparable technical shirts when I am wearing a pack. I found myself unbuttoning the shirt for mobility even when I wasn't overheated. In reference to the heat, I've often backpacked with a button down shirt. As with most shirts, I've had to open some or all buttons on extremely warm hikes for ventilation. The material appears to breathe well enough to my satisfaction. I do find the material a little "scratchy" in comparison to other shirts, however, not enough to stop me from wearing it repeatedly throughout the test. When I wore the shirt frog gigging, I waded in a creek that at times was belly deep. I was excited to find the entire shirt didn't become soaked with water. The un-tucked waist drew up the moisture, but it never extended much farther than the actual water depths I entered. Had I worn a cotton shirt, I'd have been soaked clear up to my neck within minutes. This is a great shirt to wear around town on a warm summer day. The material doesn't stick; it keeps me dry and looks stylish. 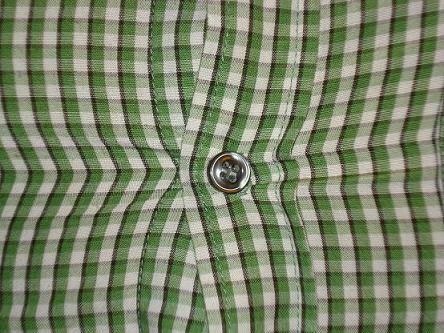 My key apprehension with the shirt has been quality control concerning the buttons. I had one fall off during the initial report, and two more came loose just after I completed that portion of the test. 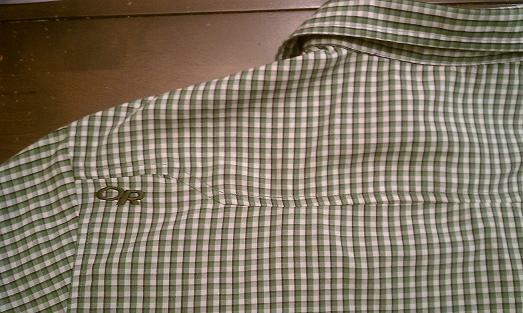 After the second occurrence, I used a quick buttoning tool to resecure all the shirts buttons. To date, none of these have loosened after my repairs. This shirt is great for the pub. I've worn it around town easily a half dozen times. It looks nice and fits me well enough in these situations. It also works well for hiking and excursions when a backpack is not involved. When wet from either rain or perspiration it will dry rather quickly, particularly when I remove it for a short time period. I do feel constricted when I've worn the shirt backpacking. I wore it each day on an outing and came to a similar conclusion in each instance, but I do look forward to trying it again. I praise the shirt for its Dri-Release technology that wicks moisture away from the body in an adequate manner and minimizes odor. It's also quite stylish in my opinion. I'm concerned about freedom of movement, particularly when I wear a pack, and the quality control process the shirt goes through before leaving the manufacturing plant. Please check back in two months for a final update on the Dune Shirt. I'd again like to thank Outdoor Research and BackpackGearTest for the opportunity to review this item. During the long-term phase I had the opportunity to wear the Dune shirt on one backpacking outing, two day hikes and on several more casual occasions. 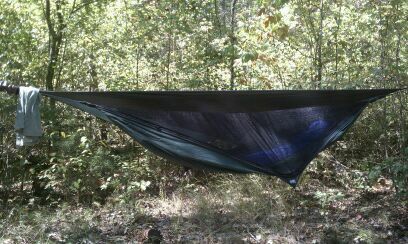 I wore it on a weekend trip to the South Cumberland Plateau near Monteagle, Tennessee. Although the calendar assured me it was autumn, the temperatures did not. Daytime highs were near 88 F (31 C) and evening lows were around 61 F (16 C) for this arid weekend. Elevations averaged 1920 ft (585 m) with changes of no more than 500 ft (152 m) along the trail. The day hikes were both local to me, one in Nashville, Tennessee and the other in Franklin, Tennessee. These were leisurely hikes with the family that were between three and five miles each. There was canopy for shade and the temperature on both days was close to 75 F (24 C). I do not have definitive altitudes, but the local area averages 500 - 700 ft (152 - 213 m). I also continued to wear the shirt on casual outings when I knew I would be spending a majority of my time outdoors. This shirt continued to perform up to my expectations during the final test phase. The temperatures have remained well above average here in Tennessee this fall, easily allowing me to continue wearing this short sleeve shirt and continuing to test the Dri-Release technology. Overall when wearing a pack it doesn't bother me or bunch up. I've worn the shirt alone on the trail and with a synthetic t-shirt underneath it. Either way, I find it fairly comfortable to wear. I've had no more quality issues with the buttons after addressing them in the previous phase. 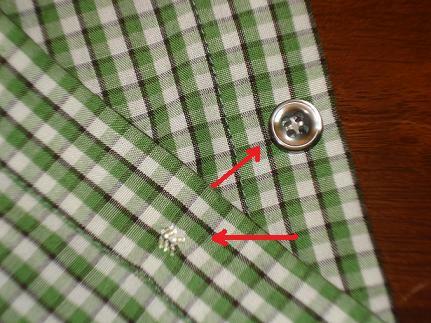 Shortly into the long term phase I did notice the shirt began pilling around the inside of the collar. It hasn't affected the comfort of the shirt, but if it moves much farther into the neck I would most likely begin using it strictly for trail wear. I've laundered the shirt several times since noticing the pilling and the issue has not worsened. Save these issues, and that it is a little snug in the chest area, I've been quite impressed by the performance of the OR Dune. If I sweat, it tends to wick away moisture and when wet it dries quickly. Even after several days of profuse perspiration on the trail, the shirt didn't retain too much of an odor. 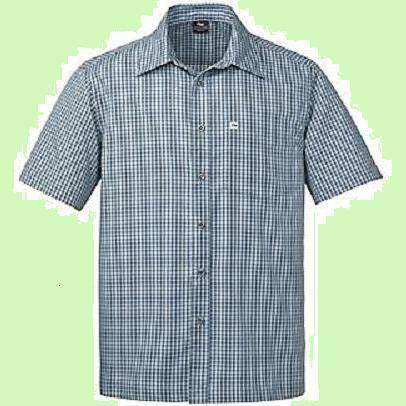 It is stylish and a shirt I've often grabbed for a casual afternoon throughout the course of this test series. I've been very pleased by the performance of this shirt. The key takeaways that come to mind are that it has wicks away moisture quite well, doesn't retain body odor, it dries quickly when damp, it is comfortable and stylish. Since temperatures during the test never really began to cool very much I did maximize using it in warm weather. I do foresee myself wearing the shirt over a base layer if I know it will not drop below 40 F (4 C) for three season use. If the shirt doesn't pill any more, I will continue to wear it both on the trail and for casual wear. I only had three concerns with the shirt, the pilling, the buttons falling off and the snug fit in the chest. None of these will stop me from donning it in the backcountry. 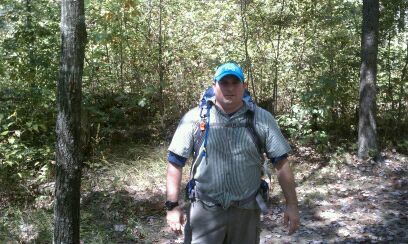 In closing I would like to thank Outdoor Research and BackpackGearTest for the opportunity to review the Dune Shirt.